One of my favourite things about the Toronto International Film Festival is the diversity. TIFF announced a relatively large chunk of its line-up last Tuesday which featured some early award-season frontrunners and a slew of high-profile talent. Now, a week later, TIFF heads in a completely different direction with its Masters, Midnight Madness, and Vanguard programmes. This announcement is for all the die-hard horror fanboys and edge-of-your-seat thrill seekers out there! That said, we haven’t forgotten the art-house hunters and idol chasers. As always, I’ve provided synopses and trailers/images for the flicks that caught my attention. You can check out the full list of films announced today by clicking the corresponding programme title: Masters, Midnight Madness, Vanguard. If you’re interested in seeing our TIFF post from last week, simply click here! Finally, for the full list of films screening at this year’s festivities, click here! The remainder of TIFF’s 2014 lineup will be released in the coming weeks and will feature films from such programmes as Discovery, Mavericks, and Wavelengths…to name a few. There is still a ton of films to be revealed and I’ll be posting accordingly so keep it locked here at The CInema Monster! A theatre troupe rehearsing a classic play of murder, betrayal and phantasmagorical vengeance find life bloodily imitating art backstage, in this wild cinematic detour from madly prolific Japanese auteur Takashi Miike (13 Assassins). 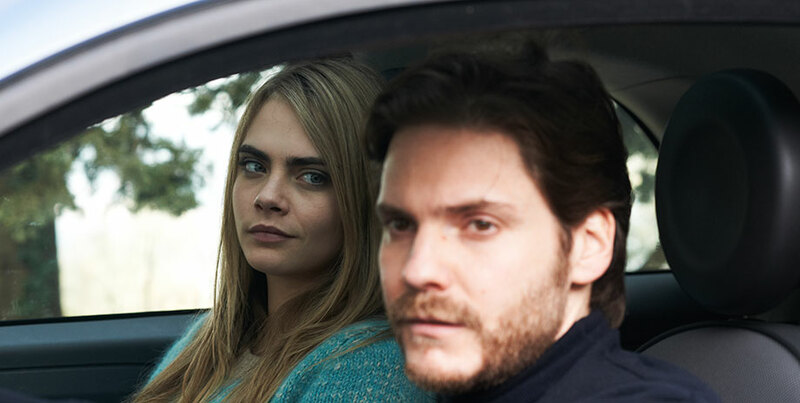 Kate Beckinsale and Daniel Brühl (Rush, Inglourious Basterds) star in this fictionalized version of the notorious Amanda Knox murder case from ever-adventurous director Michael Winterbottom (The Trip, 24 Hour Party People, The Trip to Italy). Winner of the Jury Prize at this year’s Cannes Film Festival, the new film by Jean-Luc Godard is a visually sumptuous and richly complex meditation on history and eternity, being and nothingness, desire and death. Confined to a high-security quarantine facility in the bowels of an ocean liner, a ragtag group of survivors fights for their lives against infected zombie hordes, in the long-awaited climax to the spectacularly popular Spanish horror franchise. 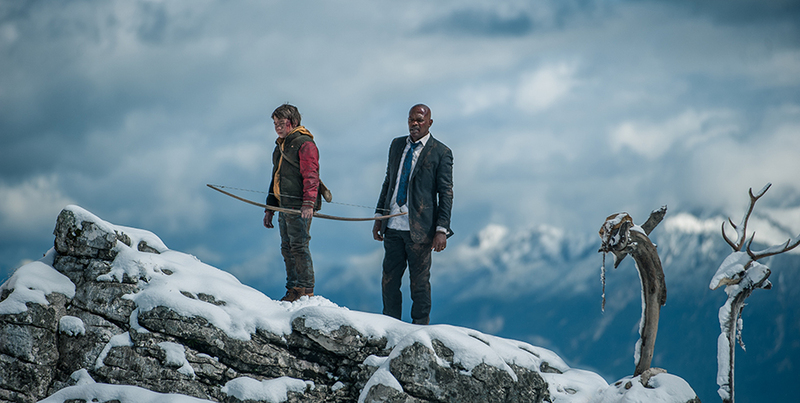 Trapped in the wilderness after Air Force One is forced down by a terrorist attacked, the President of the United States (Samuel L. Jackson) must rely on the survival skills of a 13-year-old woodsman, in this thriller co-starring Ray Stevenson, Jim Broadbent and Felicity Huffman. Kevin Smith brings his comedic chops to a disturbing new milieu in this Canuck-baiting chiller about a popular podcast host who descends into straight-up madness when he heads north of the 49th parallel. A BIG thank you to TIFF for providing a majority of the content in this post. Yes, I’ll wait patiently for you to scroll through the list of galas and special presentations announced today that kicked off TIFF 2014… Okay, Ready? Today was the first of several press conferences scheduled to unveil the slate set to take over Toronto from September 4th to the 14th at the 39th Toronto International Film Festival! With rumours swirling and early award season buzz-buzzing, TIFF CEO and Director Piers Handling and Artistic Director Cameron Bailey took to TIFF Bell Lightbox and informed all those in attendance and tuning in online exactly what they’ll be watching come September. As I mentioned earlier, only the festival’s galas and special presentations programs were announced today. The remainder of TIFF’s 2014 lineup will be released in the near future and will feature films from such programs as Masters, Discovery, Mavericks, Vanguard, Midnight Madness, and Wavelengths, just to name a few. There is still over 200 films to be revealed and I’ll be posting accordingly so keep it locked here at The CInema Monster! Below you will find what I feel to be the highlights of the TIFF line-up thus far. You can find the full list of Galas and Special Presentations by clicking the corresponding title. If you’d like to check out each programme individually, click here! An American surfer (Josh Hutcherson, The Hunger Games) meets the girl of his dreams — but gets a brutal (sur)reality check when he meets her uncle, Colombian drug kingpin Pablo Escobar (Benicio del Toro). 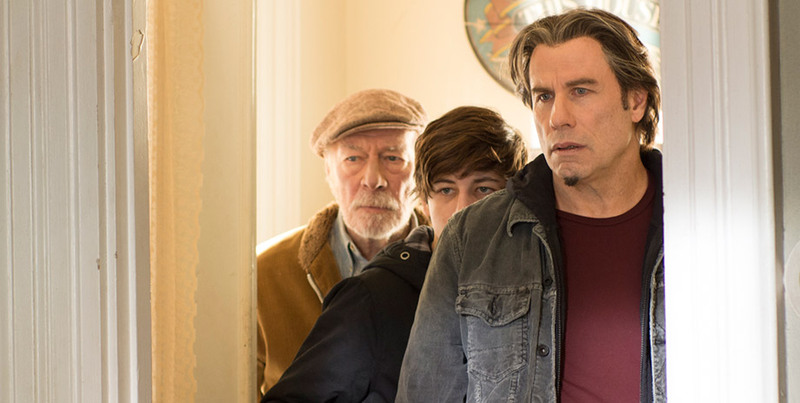 Released from prison so that he can spend time with his dying son (Tye Sheridan, Mud), an expert art forger (John Travolta) is coerced into participating in a major museum heist, in this dramatic thriller co-starring Christopher Plummer, Abigail Spencer and Jennifer Ehle. Based on true events, this film tells the dark and fascinating story of the unlikely and ultimately tragic relationship between an eccentric multi-millionaire and two champion wrestlers. Starring Steve Carell, Channing Tatum, Vanessa Redgrave, and Mark Ruffalo. Following a dismal high school reunion and a disastrous proposal of marriage, a going-nowhere twentysomething (Keira Knightley) falls in with a carefree teenager (Chloë Grace Moretz) and takes a week off to reassess her life. Also starring Sam Rockwell. David Cronenberg forges both a wicked social satire and a very human ghost story from today’s celebrity-obsessed culture. Starring Julianne Moore, Mia Wasikowska, Olivia Williams, Sarah Gadon, John Cusack and Robert Pattinson. Shawn Levy’s dramatic comedy follows four adult siblings who return home after their father’s death to spend a week with their over- sharing mother and an assortment of spouses, exes and might-have-beens. Confronting their history and frayed relationships among those who know and love them best, they reconnect in hysterical and emotionally affecting ways. Starring Jason Bateman, Tina Fey, Jane Fonda, Adam Driver, Rose Byrne, Corey Stoll and Kathryn Hahn. After years of reckless behaviour, a heroin addiction and the destruction of her marriage, Cheryl Strayed makes a rash decision. She sets out to hike more than a thousand miles on the Pacific Crest Trail all on her own. Starring Reese Witherspoon, Laura Dern, Thomas Sadoski, Michiel Huisman, Gaby Hoffmann and Kevin Rankin. After his family is evicted from their home, proud and desperate construction worker Dennis Nash tries to win his home back by striking a deal with the devil and working for Rick Carver, the corrupt real estate broker who evicted him. Starring Andrew Garfield, Laura Dern and Michael Shannon. 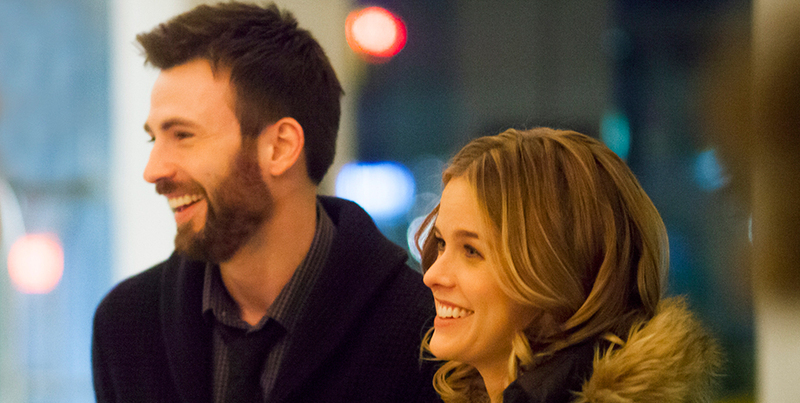 Chris Evans makes his directorial debut with this winning romance about two strangers (Evans and Alice Eve, Star Trek: Into Darkness) who spend a long, magical night in NYC after missing the last train at Grand Central Terminal. A veteran stage star (Juliette Binoche) turns to her assistant (Kristen Stewart) for solace as she jousts with an arrogant younger actress (Chloë Grace Moretz), in the brilliant new film from French auteur Olivier Assayas (Summer Hours, Something in the Air). The Drop follows lonely bartender Bob Saginowski through a covert scheme of funnelling cash to local gangsters in the underworld of Brooklyn bars. Under the heavy hand of his employer and cousin Marv, Bob finds himself at the centre of a robbery gone awry and entwined in an investigation that digs deep into the neighbourhood’s past where friends, families, and foes all work together to make a living — no matter the cost. Starring Tom Hardy, Noomi Rapace, and James Gandolfini. A dissatisfied London psychiatrist (Simon Pegg) embarks on a continent-crossing trip to discover the secret of happiness, in this globe-trotting comedy that also features Rosamund Pike, Toni Collette, Stellan Skarsgard, Jean Reno and Christopher Plummer. Benedict Cumberbatch stars as Alan Turing, the genius British mathematician, logician, cryptologist and computer scientist who led the charge to crack the German Enigma Code that helped the Allies win WWII. Turing went on to assist with the development of computers at the University of Manchester after the war, but was prosecuted by the UK government in 1952 for homosexual acts which the country deemed illegal. 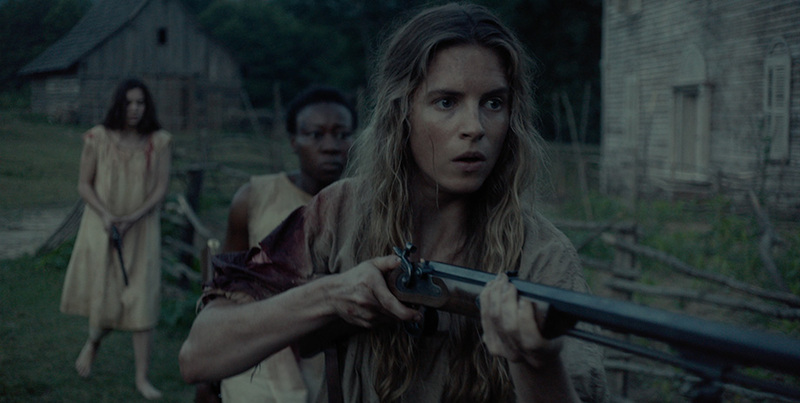 In this stunning suspense drama, three women (Brit Marling, Hailee Steinfeld and Muna Otaru) left alone on an isolated farm during the last days of the American Civil War are besieged by a pair of murderous Yankee scouts. 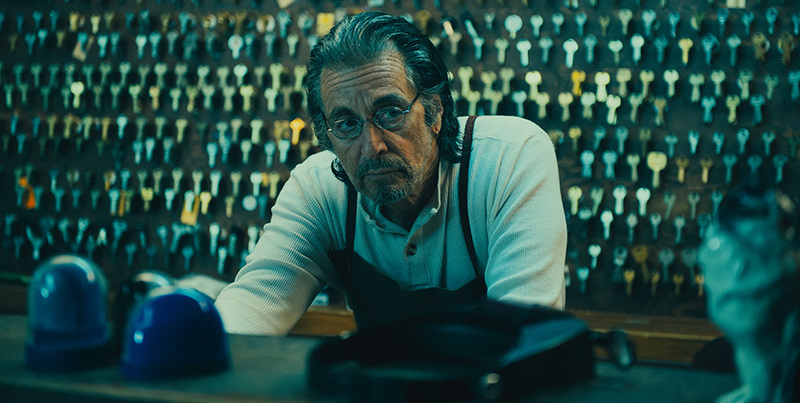 Left heartbroken by the woman he loved and lost forty years ago, an eccentric small-town locksmith (Al Pacino) tries to start his life over again with the help of a new friend (Holly Hunter), in the new film from David Gordon Green (George Washington, All the Real Girls). Jessica Chastain, Colin Farrell and Samantha Morton star in this stunning adaptation of the classic August Strindberg play directed by legendary actress and filmmaker Liv Ullmann. The hotly anticipated new film from Québécois wunderkind Xavier Dolan shared the Special Jury Prize at Cannes. Lou Bloom, a driven young man, discovers the nocturnal world of L.A. crime journalism. Joining a group of freelance camera crews who film marketable mayhem, Lou makes his own place at the table, aided by Nina, a veteran of the blood-sport that is local TV news. Blurring the line between observer and perpetrator, Lou finds his calling in a murderous world reduced to transactions. Starring Jake Gyllenhaal, Rene Russo, Riz Ahmed and Bill Paxton. Alice Howland, happily married with three grown children, is a renowned linguistics professor who starts to forget words. When she receives a devastating diagnosis, Alice and her family find their bonds tested. Alice’s struggle to stay connected to who she once was is frightening, heartbreaking, and inspiring. Starring Kristen Stewart, Alec Baldwin, Kate Bosworth and Julianne Moore. The extraordinary true story of one of the world’s greatest living minds, Stephen Hawking, who falls deeply in love with fellow Cambridge student Jane Wilde. Hawking receives an earth-shattering diagnosis at age 21. Together, Stephen and Jane defy impossible odds, breaking new ground in medicine and science. 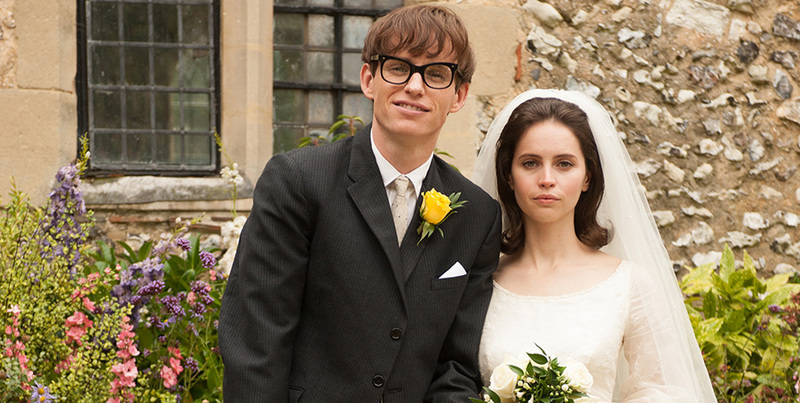 Starring Eddie Redmayne, Felicity Jones, David Thewlis and Emily Watson. 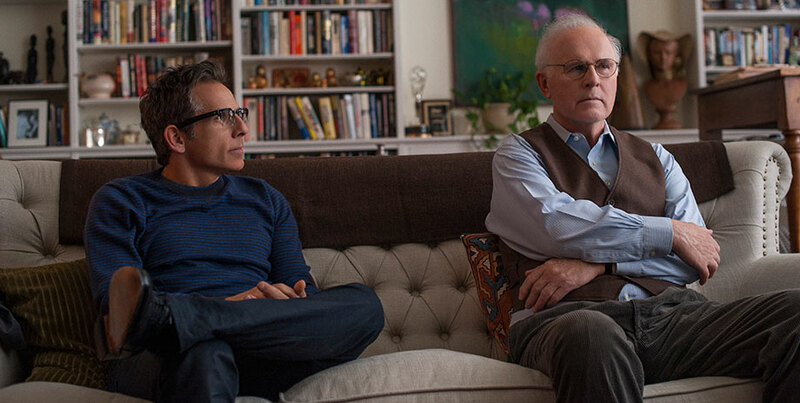 Noah Baumbach’s exploration of aging, ambition and success, stars Ben Stiller and Naomi Watts as a middle-aged couple whose career and marriage are overturned when a disarming young couple enters their lives. Also starring Amanda Seyfried, Adam Driver, Charles Grodin, Maria Dizzia and Adam Horovitz. 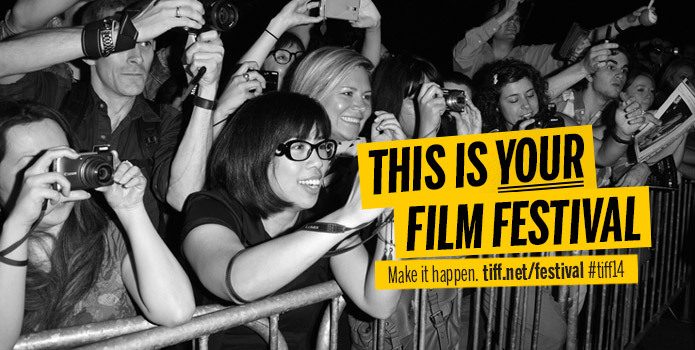 What do you think of TIFF’s 2014 line-up so far? What’s at the top of your must-watch list? Join the conversation below! A big thank you to The Film Stage and TIFF for providing a majority of the information! Well, it’s that time of year again. We’ve reached the halfway point of 2014 and I am pleased to present my top 5 films of the year thus far! Click the link below and you’ll be redirected to my personal list along with my fellow CineKatz film lovers. Be sure to leave a comment/like! In other news, I’m hoping to have a few reviews posted directly on The Cinema Monster later this week or early next, so look forward to that. The films include “The Rover,” “X-Men: Days of Future Past,” and “Happy Christmas.” Also, I’m seeing an advance screening of “I Origins” next week, so keep an eye out for that write-up as well. Additionally, I’ll have a brand new VOTE! ready to go soon, so get ready! A little over a week ago, I was fortunate enough to attend the Canadian premiere of Richard Linklater’s “Boyhood” at NXNE. 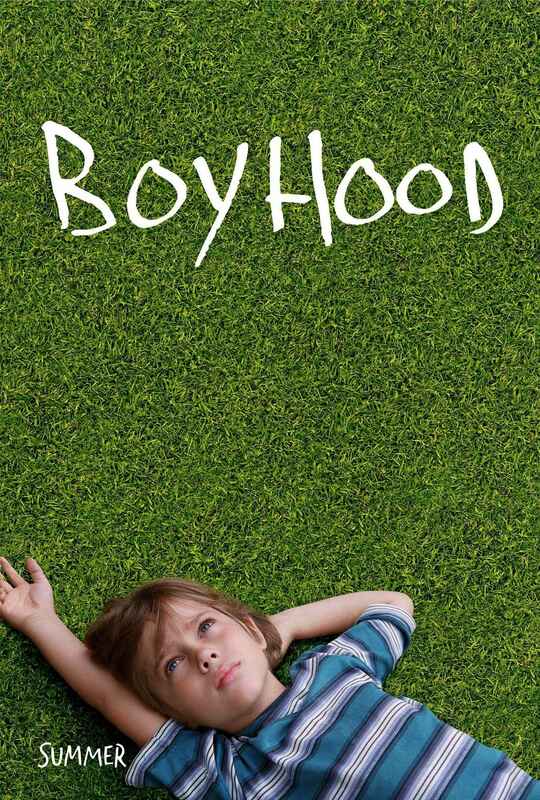 Picking up quite a bit of steam during its festival run early in 2014, “Boyhood” is receiving tons of critical acclaim, and as a result, skyrocketed to the top of cinephiles most anticipated films of 2014. You can read my full review by clicking the link below which will redirect you to the article over at The Cinematic Katzenjammer! Please feel free to drop a like/comment.